Genetic manipulation in cell and animal models can provide important insights into gene function and the relationships between gene mutation and disease. 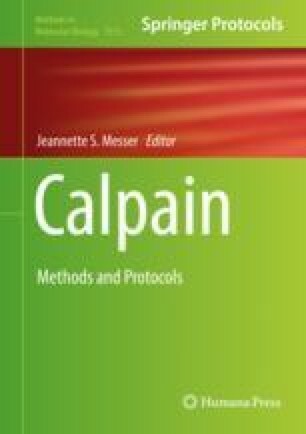 This chapter describes methods to generate models of calpain-1 and calpain-2 deficiency, or their recombinant ectopic expression in cultured cells, and to genotype a conditional transgenic mouse model of calpain-1/calpain-2 deficiency that can be used to explore physiologic roles for these calpains. This work was supported by a grant from the Canadian Institutes of Health Research (81189) to PAG.